Season series: This is the third and final game this season and the first at Jobing.com Arena. The St. Louis Blues and Phoenix Coyotes split the first two, with T.J. Oshie scoring twice to lead St. Louis past Phoenix, 2-1, in the most-recent encounter on Jan. 14. St. Louis has won three straight in the desert. Big story: Goaltender Ryan Miller will make his Blues debut on Sunday. 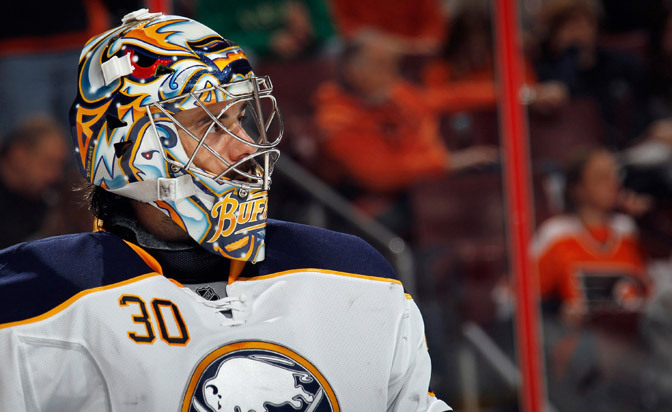 On Friday, the Buffalo Sabres dealt their longtime franchise player, along with Sabres captain Steve Ott, to St. Louis in exchange for goalie Jaroslav Halak, forward Chris Stewart, a prospect and draft picks. "I'm very excited for the opportunity to have a new adventure, a new opportunity," Miller told reporters Friday. "I have a strong sense that they have a special team, that they work hard. I know some of the guys on the team with the USA [Olympic] program, and they have a very strong competitive spirit." St. Louis captain David Backes, who played with Miller in the past two Winter Olympics, raved about the organization's winning mentality. "The management and ownership is really committed to winning, and winning now, and that's partly shown in the move we've made," Backes said. "Ryan Miller is an all-world goalie that has shown it time and time again." Blues: Miller should bolster the NHL's third-best defensive unit (2.27 goals-allowed per game) and Blues management no doubt hopes he can help St. Louis over the postseason hump. On Sunday, though, the Blues will be focused on avoiding their first three-game losing streak of the season. The Blues have not scored since NHL play resumed, dropping back-to-back 1-0 contests to Western rivals Vancouver Canucks and Anaheim Ducks. "We've just got to put a couple in the net and we'll get going," defenseman Kevin Shattenkirk said. The Blues' recent inefficiency lies in contrast to their Olympic lead-up, in which St. Louis went 6-1-1 and scored three or more goals six times over that stretch. Coyotes: Phoenix has lost three straight games, all away from Jobing.com Arena, to drop into a crowded group vying for the final Western playoff spots. The eighth through 11th-placed teams – the Dallas Stars, Canucks, Coyotes and Winnipeg Jets – are separated by two points, and Phoenix is a point behind Vancouver for fourth place in the competitive Pacific Division. In their most-recent outing Friday, Phoenix fell 4-2 to the Colorado Avalanche. The Coyotes outshot the Avalanche 42-33, including 19 shots in the third period, but were unable to close the gap. "We're in the winning business and when you don't win you have to find ways to win," coach Dave Tippett told reporters after the game. "That's where we're at right now." Who's hot: Miller is 6-0-0 with a 1.15 goals-against average in his career against the Coyotes. … Shane Doan scored twice Friday in Colorado and has 48 points (21 goals, 27 assists) in 69 career games versus St. Louis. Injury report: For the Blues, defenseman Jordan Leopold (ankle) and Vladimir Sobotka (knee) are day-to-day. … Phoenix is boasting a healthy lineup.